The need for storage and distribution space for the variety of fruits and vegetables imported from Mexico has long been a driver of industrial demand in the Rio Grande Valley. The agriculture industry has fueled the rise of Pharr as a global powerhouse and the home to a variety of thriving agriculture-related businesses. The Pharr-Reynosa International Bridge is the sixth-largest land port of entry in the United States and currently processes more than $30 billion a year in international trade. But the most influential element behind this uptick has not been agrarian, financial or demographic, but rather infrastructure in Mexico. The Baluarte Bicentennial Bridge, a 3,700-foot cable-stayed bridge completed in late 2013, provides direct access from the Pacific coast city of Mazatlan to the inland metro area of Durango. From Durango, product can be transported by truck directly to Reynosa, which has a thriving industrial sector as the “last mile” of distribution before the product enters the United States. Construction of the bridge has shortened travel time to Reynosa by four to six hours, shaving $500 to $1,500 off transportation costs per load. Consequently, more overall product is coming in, driving up demand for warehouse and distribution centers in Pharr and surrounding communities. Pharr and Nogales, Ariz. are the largest American ports of entry for Mexican produce. In 2015, 11,760 produce-laden truckloads came through Nogales compared to 10,988 for Pharr, a difference of 772 truckloads. In 2016, the difference between the two cities shrunk to 480 truckloads as the viability of the bridge became more widely recognized. The volume of truckloads coming through all Valley ports of entry increased by 7.4 percent between 2015 and 2016. A similar rate of year-over-year increase is expected in 2017. According to Floyd Adcock, a research fellow at Texas A&M, Nogales and Pharr alternate as market leaders in the importation of Mexican produce. A new venture in McAllen may have a huge impact on these numbers. 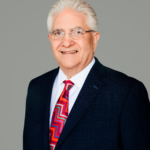 ScanTech Sciences Inc. has started construction of the first electronic cold-pasteurization food treatment center in McAllen, which will treat produce traveling to and from the United States and Mexico. A 100,000-square-foot facility is scheduled to open during the fourth quarter of 2017 and be fully operational by the first quarter of 2018. In addition, more than 500,000 square feet of warehouse facilities are in some stage of development within the McAllen MSA, driven by logistics requirements of 230 maquilas in the Reynosa area and by increasing agricultural imports. Another factor driving growth is legislation regarding overweight trucks that was passed two years ago. Overweight trucks from Mexico can now come across the Pharr-Reynosa International Bridge and use designated routes to reach their intended warehouse destinations in Pharr, McAllen and Mission. Mexico offers greater weight limits for trucks than Texas does. In Mexico, cargo can weigh as much as 125,000 pounds; in Texas, the limit is 80,000 pounds. Under House Bill 474, Mexican truckers crossing at Pharr no longer have to unload one-third of their cargo in Reynosa, but can instead roll on through to Valley warehouses. The Pharr Produce District, a 300-acre area that serves as the center of activity for produce storage and distribution, allows for rapid inspection of all produce entering or exiting the United States. 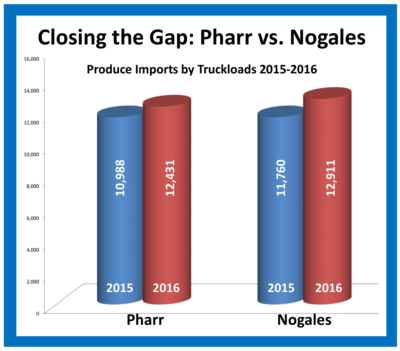 Opportunities for industries that complement Pharr’s Produce District are numerous. Whether you’re a grower, broker, distributor or an owner of a refrigerated shipping company, there is plenty of room for expansion and growth in every aspect of this market.